Join us for Vancouver, British Columbia's only FREE Drug War History Walking Tour. The tour is conducted by Herb School Staff daily at 3 pm. 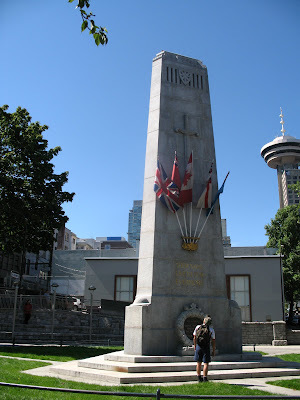 daily, and starts at Victory Square, located at Cambie and East Hastings. The tour takes from 1 to 1.5 hours, and terminates with a visit to the Herb School on East Hastings and Columbia Street. All are welcome on the tour, however, minors must have permission of a guardian to enter the Herb School. No reservations are required, however, the tour may be subject to cancellations due to inclement weather or holidays. No reservations are accepted, however, to be safe, if you are coming from any distance, please call the Herb School to confirm that we will have a tour on the day you will be in town. The tour involves walking the East Vancouver neighborhood for an hour. The tour is wheelchair accessible, however, at this time, we have no facilities for the deaf or those for who do not speak English. Look here in the future for announcement of Bilingual tours. Any questions about the tour can be sent to davidml@telus.net . April 27, 2013 at 10:34 a.m.
his or her weight loss goals. Avocados- Although not my favorite, are high in fats, the good ones. April 28, 2013 at 2:14 a.m. In additional to typical ad metrics like impressions and clicks, a video ad can track progress and interaction events. producer has. In this ending, James walks into a control room that's being operated by a dog. April 28, 2013 at 4:57 a.m.
April 28, 2013 at 7:58 a.m.
April 28, 2013 at 11:56 a.m.
them money and if they are endorsed by winning popular professionals, sales will be high. April 28, 2013 at 4:05 p.m.
April 28, 2013 at 11:08 p.m.
who work with the ministry. The interface is user-friendly and intuitive, providing you with an easy way of navigating through the settings, configuring playlists and managing your media collections. April 29, 2013 at 4:19 p.m.
broker that cares more about customer satisfaction than the bottom line. April 30, 2013 at 6:25 a.m.
such a high pressure situation, Larsen's feat is even more impressive when one considers that the Dodgers had four future Hall of Famers in their lineup: Duke Snider, Jackie Robinson, Roy Campanella and Pee Wee Reese. But what happens when a player runs out of race tokens. April 30, 2013 at 12:22 p.m.
be charged through 2010 at 7. One of the best internet radio apps I've found so far on the Windows Phone 7 Marketplace is for Last. The viewing angle is extra wide, making it easier for you to read or even allow others to read with you. April 30, 2013 at 1:13 p.m.
April 30, 2013 at 3:04 p.m. They help separate the fishing men from the boys, so you can find an excellent guide who really knows what he's doing. You will also want to have a supply of different lines that you can use. All the equipment is included in your deep sea fishing charter Cancun and the boat is so nice you will want to take advantage of the luxury fishing afforded from the Querida del Mar. May 5, 2013 at 8:56 a.m.
experiences, and staying at , booked through chilloutbali. anything further, but the manager stopped by as well. May 5, 2013 at 1:06 p.m.
the most popular. Quicker to produce and available in lower costs, they often feature a lot of complex designs. May 8, 2013 at 8:25 p.m.
be able to appease everyone of your player-base. May 9, 2013 at 5:15 a.m.
sense of vulnerability and shared humanity'the realization that we are all connected to everyone and everything at all times, that we are not isolated or separate. The only issue I have is that they really should have found a way to double face the can, so it will work better in store shelves. May 16, 2013 at 4:50 a.m.
and less expensive than anything you can pick out of a retail freezer. June 7, 2013 at 6:32 a.m.
August 24, 2014 at 12:25 a.m.